Bharati Vidyapeeth was granted the deemed university status by University Grants Commission (UGC) in the year 1996, and since then has been well-known in India and Overseas as one of the leading educational institutions of the country. It ranks 66th among all the Universities, and got a grade ‘A’ by the HRD Ministry, Government of India. It has total 29 Constituent Units that are spread across 8 campuses, 3 of which are completely dedicated to research. There are in total 12 faculties that offer 324 different Programmes. Currently, the university has around 23,000+ students enrolled and over 1,600 teachers. The students studying at Bharati Vidyapeeth come from all parts of the country and also from 48 foreign countries. The university has world-renowned infrastructure and some of the best learning processes. New and innovative programmes are regularly added to provide wholesome education to the students, and the university also keeps collaborating with international universities to give its students maximum knowledge and exposure. Reaching out to more and more students and providing the best education to them is what Bharati Vidyapeeth (Deemed to be University) aims at. That’s the reason why the School of Distance Education (SDE) was established. Other than providing the best of education, Bharati Vidyapeeth SDE also seeks to enhance the self-learning and lifelong learning culture. It focuses on individual development as well as personal productivity by way of various skill development programmes, at the same time relieving the students from time and place constraints. MBA is a popular post-graduate programme offered by Bharati Vidyapeeth School of Distance Education to students from India as well as abroad. This is a two-year programme that offers a hoard of jobs in the corporate world at various managerial levels. It is an ideal programme for students who wish to enhance their skills at work. The Bharati Vidyapeeth Deemed University School of Distance Education (BVDU-SDE) provides Distance Education MBA in basically three specializations, i.e. Each Distance MBA programme is conducted over a period of 2 years, and the examinations are divided into 4 semesters. In MBA (General), the students are offered basic knowledge across all the leading specialties, and thus it can be applied and practiced in all the main industries. This programme also imparts overall coaching and training about leadership, communication, creativity and critical thinking and reasoning. MBA (HR) basically prepares students to manage the human resource of any organization. Here, the course is related to business communication, strategic management and organizational behavior. They help the students in developing the essential skills that they use all through their career. Executive MBA is the best for those candidates who are seeking a managerial educational qualification along with their work experience. It is important for those who wish to amplify their skills at work and thus find the best job in the market. To get admission into the Distance Education MBA at Bharati Vidyapeeth SDE, candidate must be a graduate degree (10+2+3) in any field with passing marks at least 50% (for SC/ST students it is 45%) from any UGC recognized university. To apply for admission into the Bharati Vidyapeeth Distance Education MBA, candidates must fill a prescribed form attached inside the Application Booklet. You can get this booklet from any of the study centres of BVDU in New Delhi, Mumbai, Pune, Kolhapur, Sangli, Solapur and Karad. Application Booklet and Admission Form for 1st Year is available for Rs. 500 in cash and Rs. 600 by post. Application Form for students applying for 2nd Year admission is Rs. 100 in cash and Rs. 200 by post. Application Booklet cost is non-refundable. Question: Is Bharati Vidyapeeth Deemed University Recognized? Yes, Bharati Vidyapeeth Deemed University is recognized by university grant commission (UGC) – distance education bureau (DEB). 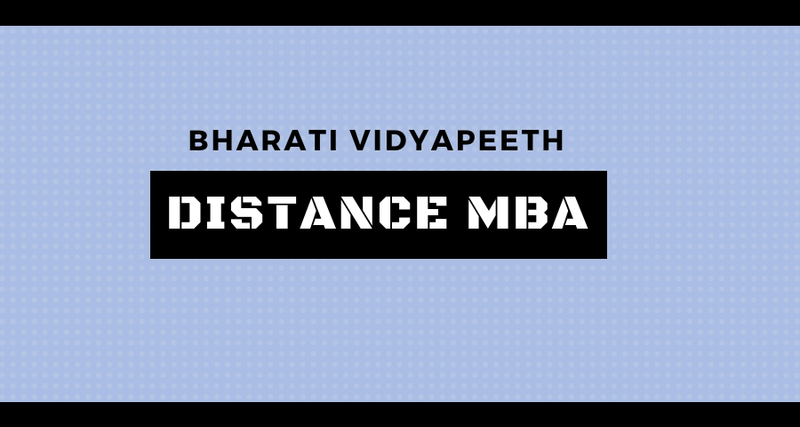 Question: Is Bharati Vidyapeeth Deemed University good for doing a distance MBA programme? Yes, Bharati Vidyapeet is one the top universities in Maharashtra. 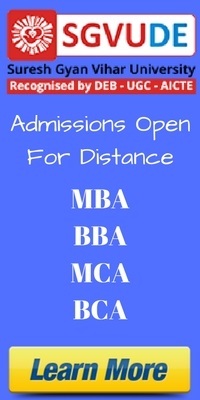 The university is recognized by UGC and offer a degree after your complete your distance MBA. It is a good option if you’re looking for a reliable university to pursue your MBA. Question: Is Bharati Vidyapeeth government university? No, Is Bharati Vidyapeeth is not a government university. Bharati Vidyapeeth is a Deemed university and a part of a group of higher educational institutions located in Pune, India.